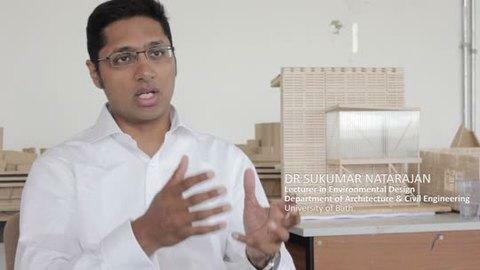 Dr Sukumar Natarajan, Lecturer of Environmental Design, gives an overview of the Department of Architecture and Civil Engineering at the University of Bath. He summarises the programmes available and skills developed. Facilities provided for students include specialist technical laboratories, such as one of the few artificial skies in the country, and the department has its own weather station.